Fr. 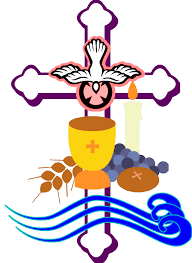 P Doherty PP in Maghera has organised a Sacramental Talk in St. Mary's Church, Maghera on Tuesday 26th January at 7.30 p.m.
All R4 pupils, all R7 pupils, P4 and P7 pupils from the Parish of Maghera and all parents are welcome to attend. Fr K O'Doherty PP in Granaghan has organised a Sacramental Talk in St. John's PS Swatragh for PARENTS all P4 and P7 pupils from Granaghan Parish on Tuesday 9th February at 7.30 p.m.